For almost 20 years the hospital “Klinik im LEBEN” is known as a modern centre for Natural Biological and Integrative Medicine. In all this time it has been given priority to Biological Medicine as the basic element. Right from the beginning to the present we have set great value upon a high quality of our therapies. 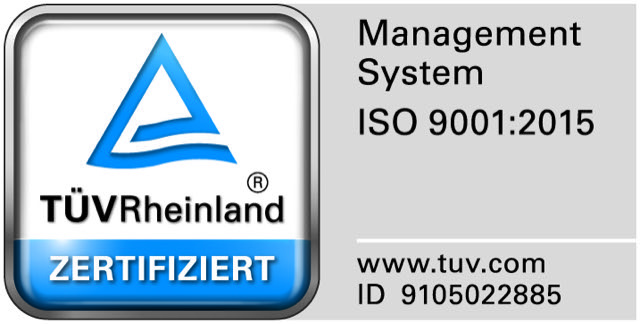 Already in 2004 and so as the first German Clinic for Biological Medicine our hospital „Klinik im LEBEN“ faced to the high quality standard of quality management system ISO 9001-2000. Annually the further development of this quality level has been certified through a monitoring audit and every 3 year through a recertification as well. There were no significant side effects on these treatments. The versatile experiences will be reflected in the success of hospitals “Klinik im LEBEN therapies. 4-6 month after leaving our hospital the patients receive a questionnaire about the progression of their health. The summarized scoring of the last 6 years (number of questionnaires, which have been sent back) shows significantly, that 51.4 % of these patients benefit of the stay in hospital “Klinik im LEBEN”. Partially there was a strong progression in health due to the therapies. For another 20.4 % the spreading of the sickness could be prevented. At the end of staying in our hospital our patients receive an anonymized questionnaire, which contains all relevant aspects of the stay. Each of all statements will be noted with 10 points maximally. In the period of April 2017 – March 2018 the patient’s satisfaction has been rated by 8.9 of 10 possible points.